I’ve recently been looking at economic incentives for solar power in the U.S. I thought I’d consider what incentives might encourage the installation of solar panels for different locations across the country. 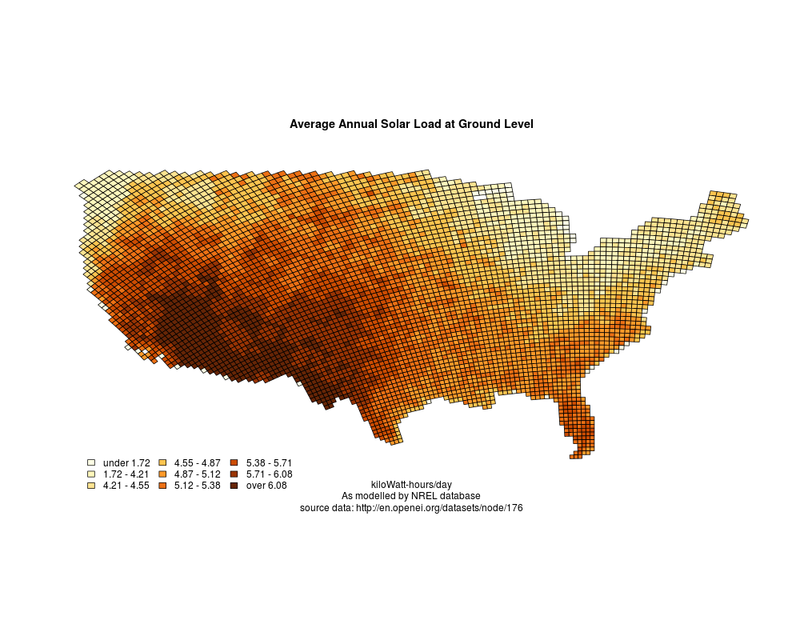 This plot is generated in R using the shapefile GIS data provided by the National Renewable Energy Laboratory (NREL) via the Open Energy Information (OpenEI) platform. It is based off a model that takes input from 14,000+ solar radiation stations across the country. 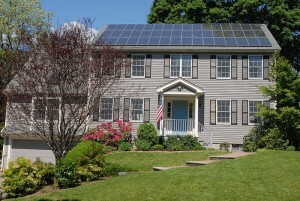 Naturally, increased sunlight can provide more incentive to install solar panels. However, that is only a small part of the story. In addition to the residential scenario above, I also considered a more commercial scenario, which involved a different set of state level tax incentives, and a few other assumptions. Naturally, there are a huge number of assumptions baked into these maps. 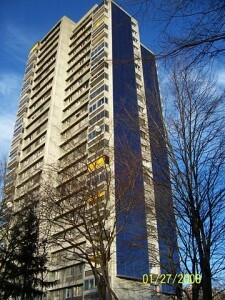 (Stable tax rates, typical weather, steady energy prices … the list goes on.) Nevertheless, I think it’s interesting to see, at least according to the data I used, how tax write-offs start out dominating the state-to-state variation in payout. But, after a few decades, solar potential begins playing a more critical role. I taught myself quite a bit about R in this little study. Using industry standard tools for GIS for the first time (namely becoming familiar with the structure of a “shapefile”). This was probably the most challenging part. In dealing with tax incentives, the number of stipulations and caveats can be absolutely crushing. I found the best way to deal with these were to simply hypothesize a couple of scenarios, and run with the results.